There are many reasons why dogs or cats need to have surgery. Some of these reasons include swallowing a foreign object, degenerative diseases, or injury. When these things happen, having the peace of mind that you have a caring, knowledgeable and experienced veterinarian team that you can trust is best assurance any pet parent can have. Tracy Animal Hospital's skilled veterinarians diagnose and provide quality surgical care for your dogs and cats. ​Keeping these life-saving surgeries affordable is our way of showing that patient care comes first! “We do specialty surgeries at a price our clients can afford. This is the stuff we get pumped up about. Some of these surgeries are so expensive that pet owners have no choice but to put their pets down. But at least we give these pets a chance. We can save someone sometimes thousands of dollars on these life saving surgeries. And this happens more times than you know! Orthopedic surgeries involve the bones or joints. Prior to surgery, we will conduct imaging studies to fully evaluate your pet’s injury and plan the best surgical approach. Complicated bone fractures are repaired with advanced plating or pinning methods, in sometimes saving limbs from amputation. We use the most current surgical techniques to treat cruciate ligament tears in the knee, which are the most common orthopedic injuries in dogs. These techniques restore greater stability to the knee and minimize arthritis development. Hip dysplasia, patellar luxation and limb growth deformities are just a few of the other orthopedic conditions treated by our surgeons. For most orthopedic injuries, treatment doesn’t stop when surgery is complete. The immediate and post-operative rehabilitation we provide helps your pet recover time decrease, and we partner with other veterinary facilities for long-term rehabilitation and care. Most other surgical procedures are considered soft tissue surgeries. This includes skin growth removals, complex wound repair, and procedures involving the internal organs. We also treat surgical conditions such as bloat, splenic disease, gastrointestinal foreign body obstruction, or uterine infection are treated on an emergency basis. In other cases, surgery is performed to remove cancerous tumors or to address medical conditions. Our veterinarians collaborate with oncologists and internal medicine specialists to ensure the best possible outcome for your pet. Many people worry about their pet undergoing anesthesia. Our veterinarians will conduct thorough pre-surgical testing to identify potential risk factors and design safe anesthetic protocols tailored to your pet’s individual needs. Our veterinary team is highly trained to monitor anesthesia and address any complications that arise during the procedure. Most pets tolerate anesthesia well and are back to their normal selves in no time. Prior to surgery, we begin with a consultation with the pet owner so they can understand what to expect before and after surgery. 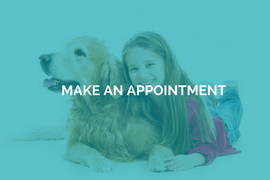 Once the surgery is complete, we follow up with detailed information for pet parents, or work with the referring veterinarian if a patient was sent to our animal hospital for care. It can be very difficult to care for a pet at home after surgery. Tracy Animal Hospital offer medical boarding to ensure a smooth post-operative recovery. Adequate pain control is of utmost importance. We will make sure your pet is comfortable, administer the appropriate medications, and address any postoperative complications. From the initial diagnosis through to the recovery period, you can rest assured that your pet is in good hands at Tracy Animal Hospital. Tracy Animal Hospital is a full service veterinary clinic located in Cypress, Texas. We offer pet care services that include routine healthcare, soft tissue & orthopedic surgery, senior pet care, dentistry, boarding, internal medicine, puppy & kitten care, vaccinations, parasite prevention, allergy & skin care, and cremation services. Click here to learn more about the staff at Tracy Animal Hospital.